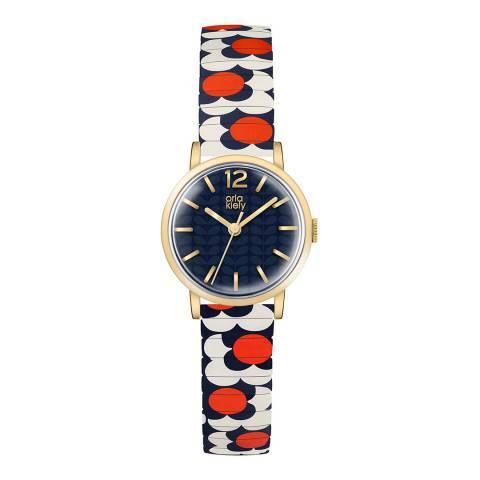 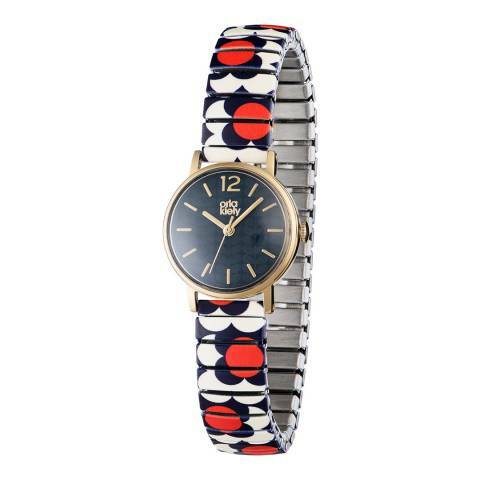 This unmistakably sixties style Orla Kiely Pop timepiece radiates Orla perfectly. 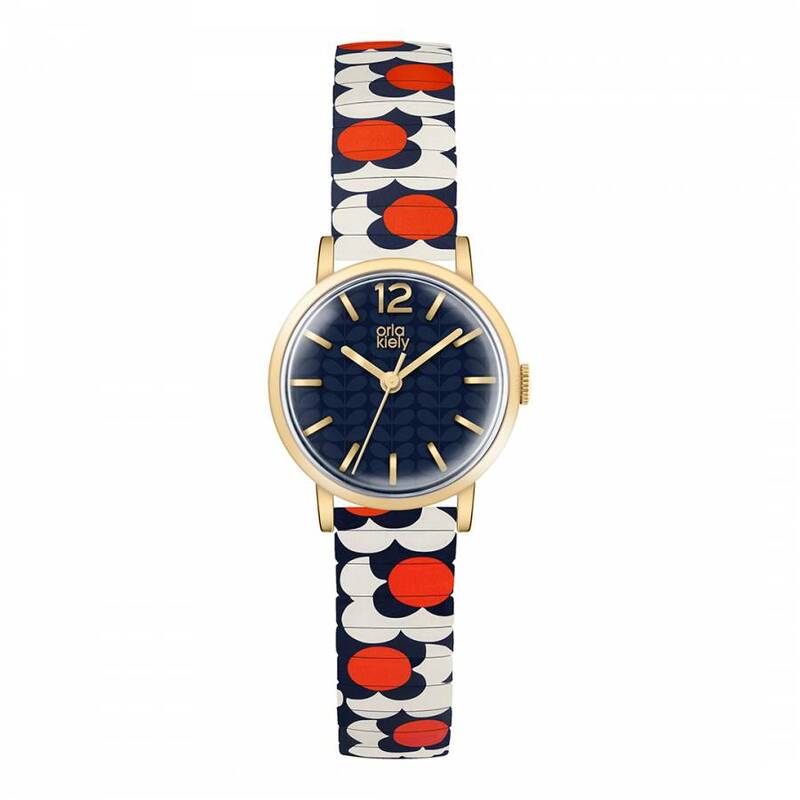 This watch features a stainless steel case with a navy flower print dial. The blue and white flower print expandable bracelet makes it an easy to wear piece.